Everything that can be tokenized will be tokenized. 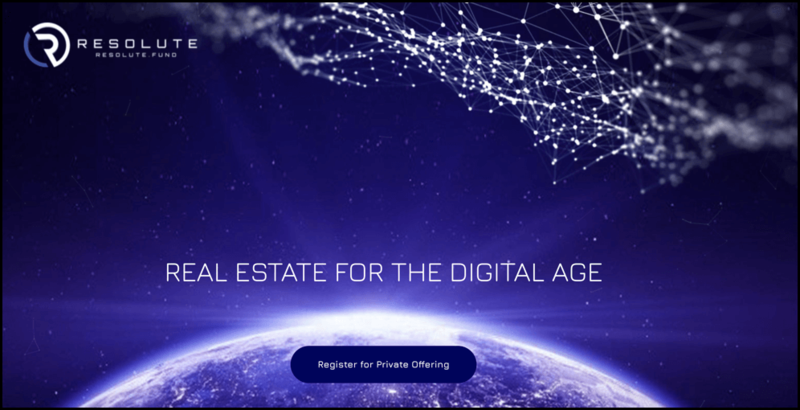 And the process has started with real estate tokenization with numerous STOs launching real estate security tokens in 2019. Upon further dwelling, we understood that there is a massive demand for such a tokenized product. So far real-estate hasn’t been that liquid market but with tokenized real-estate fractional ownership will be possible. And this will make real-estate ownership/buying/selling highly liquid. I know most of you might think, real-estate STOs are like ICOs which will be selling like hot cakes only for some time but believe me they are different. Real-estate STOs or any STO is different than ICOs because they are more regulated thus protecting the investor’s rights. BlockEstate is premier tokenized real-estate fund for investors around the world to invest in the US real estate market. They have partnered with Polymath-a security token offering platform to be able to launch their security token for its fund. Vetted Investors who want to participate in the US real estate market can buy these tokens and be assured of high IRRs up to 12-120 % because BlockEstate isn’t focused on just one property instead they are looking for distributed investments on investor’s behalf. And don’t forget to relax because by investing in BlockEstate fund you are actually relying on experts who have over $650 million in combined property management and development experience. With SwissRealCoin-which is the first security token backed by Swiss real estate portfolio for investors around the world. 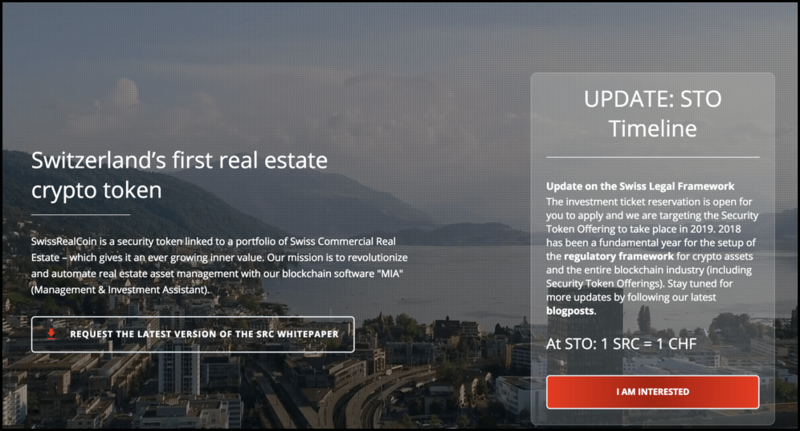 SwissRealCoin is linked to a portfolio of Swiss commercial real estate and is managed using their proprietary blockchain software (MIA) for enhanced liquidity, transparency, tradability and efficiency. SRC tokens will be traded on licensed exchanges for daily liquidity, and those of you who want to invest in Swiss real estate directly must be ready to buy SRC in its STO which will be launched in 2019. Want a slice of prosperous and growing real estate funds, well RE is just for you. 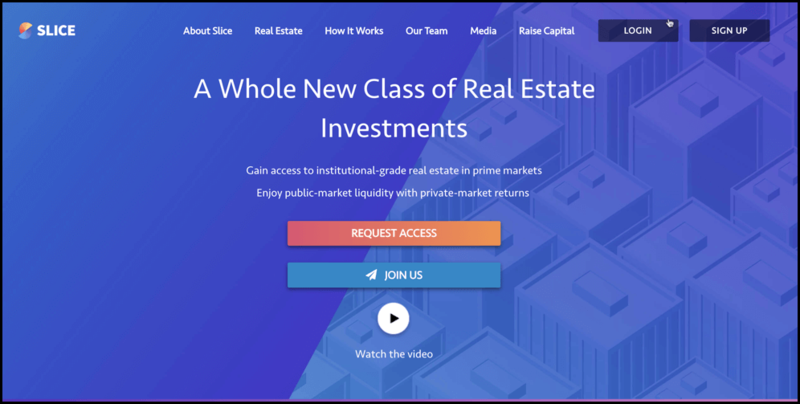 Slice RE allows you to invest in US real estate market by providing your return rates of private securities while promising public security level liquidity. Slice lets everyone win and is not only restricted to accredited investors. Instead, Slice RE embraces every type of investor and has lower fees than traditional Real Estate Investment Trust (REIT) funds. With Slice RE you can purchase shares of all sizes in US-based real estate properties as minimum investments are just $10,000. Slice uses blockchain technology to achieve compliance and these kinds of small transactions. That’s why Slice is the only real estate platform that offers fractional ownership in US commercial real estate (CRE) in prime US cities like Los Angeles, New York City, Boston, and San Francisco. Treehouse is an England based company that is democratizing property investments by harnessing blockchain technology. Thus bringing a much larger audience of investors to be able to invest in real-estate around the world and providing the transparency, efficiency, and freedom you expect of property in the 21st Century. Treehouse is also dubbed as a global platform built on Ethereum blockchain for borderless investments in the form of part ownership or fractional ownership of real estates. On Treehouse, you can purchase their two types of tokens, one is for funding the development of the platform itself, and another is specific to the property you are interested in investing. RealtyReturns is a marketplace for tokenized real estate investment opportunities. Many international investors want to invest in US real estate but are generally clueless about their options, and this happens mainly with crypto investors. When tokenized real estate funds are an excellent way to start, but an even better approach is to find out a property yourself and then bet on it. You can do so very well by subscribing to RealtyRetuns platform by buying their utility token (RRT) which will cover your membership and other compliance things such as KYC-AMCL check etc. And then you will get access to their marketplace where you can buy RR tokens of a specific property enabled by a particular smart contract which also automates your income payments whenever that property generates recurring rental payments. NYCREC uses blockchain technology to tokenize New York City real estate to offer token holders fractional interest in a portfolio of properties in NYC. Also, they are the only STO to specialize in New York City real estate. Token holders can enjoy some of the benefits that come with owning real estate, including receiving revenue from the building’s cash flow via Ethereum airdrops. Note: The NYCREC Private Sale is now accepting contributions by vetted investors. Resolute Fund is a diversified U.S. real estate fund, managed by experienced professionals, with digital shares on the blockchain. The fund aims to invest in a diversified portfolio of multi-family apartments and distressed mortgaged debt across the US. So that’s all from my side in this list of tokenized real estate tokens and opportunities. I know many of these opportunities are for the US market, but the reality is that it is still the hottest market in the world. Apart from that many security token platforms are planning to list many other real-estate based security token offerings.